Accurate diagnosis and appropriate treatment are vital to general dental practice. While simple and huge dental carries can easily be recognized with visual inspection, most of the carious lesions on the teeth's interproximal surface can often be missed out and undetected just the natural daylight and bare eyes. Most of the time, you will need to use the appropriate type of dental loupe and the right amount and quality of light in order to detect such dental problem as soon as the earliest sign comes up. There are a lot of factors and challenges inside the dental treatment room that can greatly affect your visual acuity. One of these biggest challenges is the insufficient amount of illumination inside the room. Illumination deficiency does not only make it harder for you to see the oral cavity, it can likewise result in a number of work-related health issues such as muscular pain and eye fatigue. Working with dark areas can also hinder you from being as productive as you are as well as in delivering a higher quality dental service. The right amount, quality, and consistency of illumination do not allow proper hands-eyes coordination, it likewise enables you to lower down the difficulty level of any dental procedures while working comfortably and stress-free. How To Fix Illumination Deficiency? There are a few things that you can do to fix illumination deficiency. One of the best-known ways to get rid of this insufficiency is to enhance your lighting system. Among the most popular lighting system used by many dentists today is the dental headlight. This type of light source is known for being so portable, energy efficient, affordable, and reliable. It does not eat as much electric energy as the other lighting systems such as the overhead lamp and operating light since it only uses LED bulbs and a battery system that needs to be recharged and plugged for an hour or two. Unlike the two other lighting systems, dental headlights do not cast a shadow in the working area. The dental headlight does not also need to be adjusted manually to your desired angle from time to time because it automatically leads towards the direction where your head faces. It is being worn together with the dental loupe or wrapped around the head separately. The nice thing about this illumination source is that it is easy to store and to maintain. 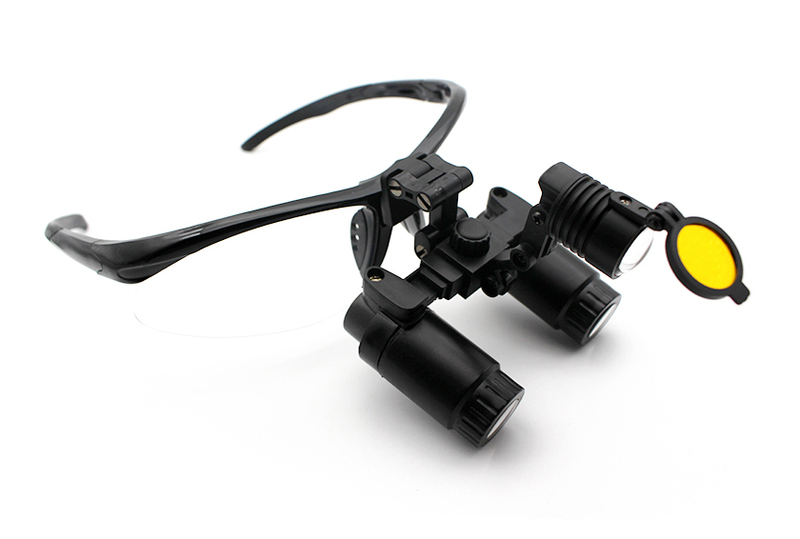 Depending on the quality and the type of battery system you choose, a dental loupe can last for a couple of years even without bulb replacement. Its LED bulbs stay at room temperature even when you use the headlight all day long. Another advantage of the dental headlights is that they are readily available in the market. They are as well available at various intensity levels, beam colors, battery system used, and designs. You can easily pick the design and style that best fit you. For general dental practice, the best beam color is the one that produces a natural daylight. This allows you to see every corner of the oral cavity without any color distortion and the real color of the teeth and the gums of your patient. This entry was posted in Dental industry news | Schultz Dental surgical blogBy Roger Jing On Jul 04, 2017 .